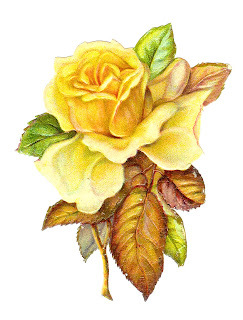 Yellow roses are my favorite flowers. This beautiful piece of rose clip art was created from a lovely Victorian die cut. It's slightly distressed, which I love, and it only adds charm to this wonderfully stunning flower image. I hope you enjoy!